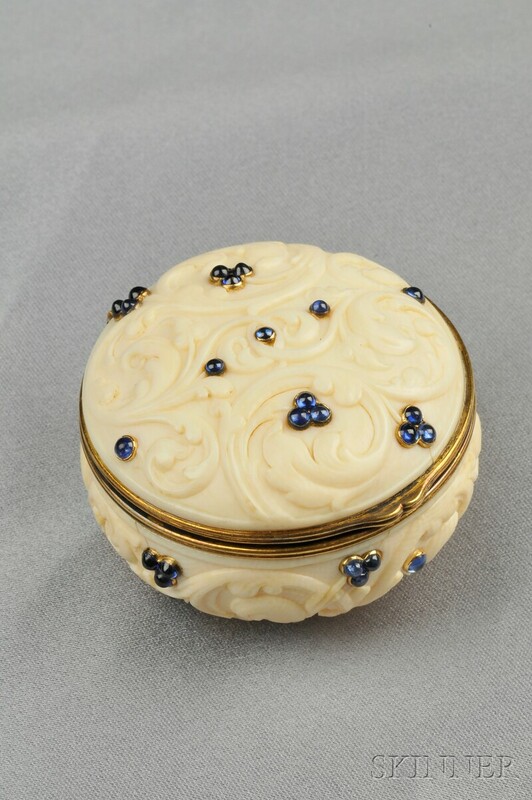 Rare Carved Ivory and Sapphire Snuff Box, Georges le Sache, Retailed by Tiffany & Co., France, 19th century, carved overall with scrolling vines and set with cabochon sapphires, 18kt gold mounts, dia. 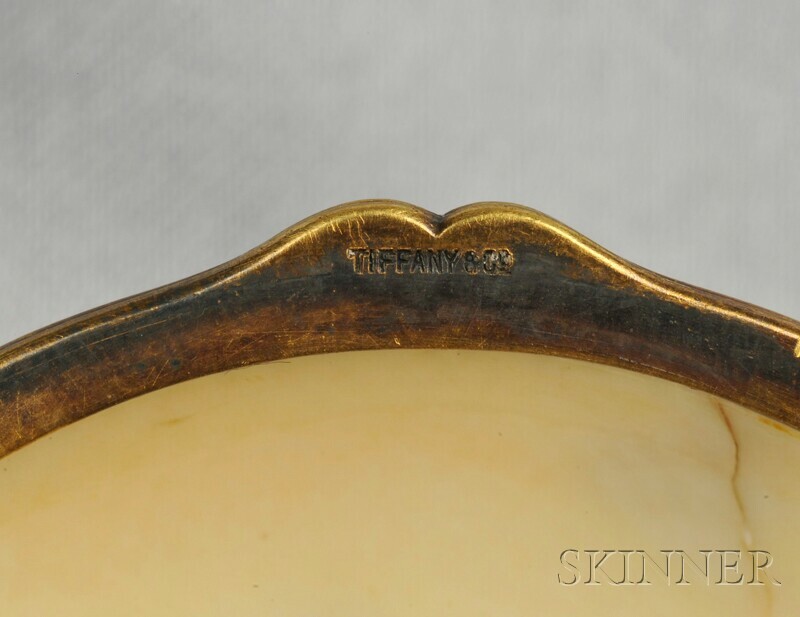 2 in., maker's mark LS for le Sache and guarantee stamps, signed Tiffany & Co. Note: Similar examples of carved ivory by le Sache and retailed by Tiffany & Co. are pictured in Bejewelled by Tiffany 1837-1987, Clare Phillips, editor, p. 33. Georges le Sache began his career collaborating with Lucien Falize, and then went on to take over the important manufacturing firm of Baucheron & Guilian. 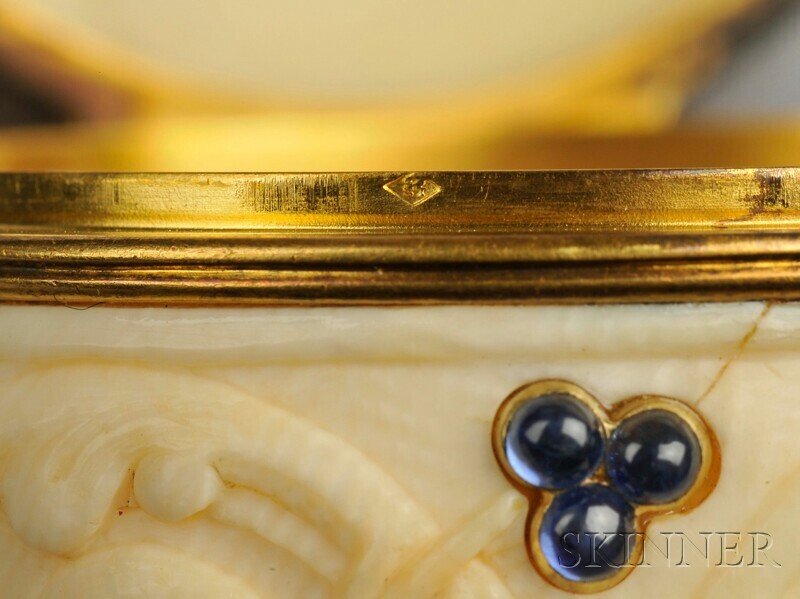 Fine carving was one of le Sache's many talents, and he became one of the most desired manufacturers in Paris, supplying many of the finest jewelry firms, including Boucheron and Tiffany & Co.